Podcast 3: Murder! Politics! Books! LibraryThing Podcast 3, which follows on the heels of the wildly successful*—if somewhat incoherent—LibraryThing Podcast 2, is an interview with Jeremy Dibbell, who runs the Legacy Library/I see Dead People’s Books project. The (somewhat meandering) conversation explores the Legacy Library project, 18th century book tastes, the top-shared Legacy Library book (Jeremy guessed wrong a few times), what your books are saying about you, and related topics. The Murder Part. Jeremy came to Portland to present at the New England Historical Association. His topic was the rediscovery/reconstruction of an important 18th-century library. The library belonged to George Wythe (LibraryThing Library, Wikipedia), a prominent Virginia politician/jurist and signer of the Declaration of Independence. Wythe, a slaveholder who ended his life an abolitionist, was poisoned by his grandnephew for the inheritance (the grandnephew had a serious gambling problem). The murderer got away because the testimony of free blacks was ruled inadmissible, but Wythe lived long enough to disinherit him. In his will, Wythe gave his extensive book collection to Thomas Jefferson (LibraryThing library), a longtime friend and former student. Jefferson received some 338 titles, of which he gave away 183 to relatives and acquaintances, and kept 155. Only a few dozen of these were known until now. Jefferson’s inventory of Wythe’s library was recently identified by Jeremy and Endrina Tay, Associate Foundation Librarian for Technical Services at Monticello. See Jeremy’s post for more on Wythe’s library. Wythe’s LibraryThing catalog, based on Jeremy and Endrina’s work, is the first reconstruction of Wythe’s full library. 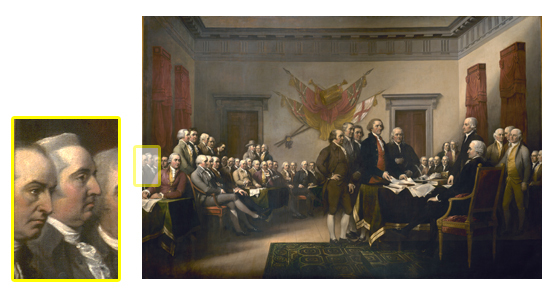 Using LibraryThing’s new comparison feature, you can compare Wythe’s library against other Legacy Libraries, other Signers of the Declaration of the Independence, or T. E. Lawrence. *Actually, I have no idea how many people listened. At some point, I want to get a LibraryThing podcast going. I did one formal episode already, an interview with librarian Jason Griffey, a cool librarian, about a year ago. What I’d really like to do is something like Uncontrolled Vocabulary, Greg Schwartz’s weekly, freewheeling phone-in conversation, now on indefinite hiatus, or the Stack Overflow podcast, a similar shoot-the-breeze between star-programmers Joel Spolsky and Jeff Atwood. Until that day, here’s a 50-minute kaffeeklatsch between LibraryThing employees, recorded back during out “week of code.” It was originally filmed, but, well, I’m vain. In the conversation (around the room clockwise): Tim Spalding, Mike Bannister, Casey Durfee, Sonya Green, Chris Catalfo, Luke Stevens, Chris Holland. Alas, Abby was in Boston, John in Hobart and Giovanni in, I think, Thailand. Enjoy! And tell us what idiots we are on Talk.